The California Assemblymember who represents La Mesa is working to make sure every police officer in the state puts on a body camera. On April 14, the Assembly Committee on Public Safety passed Shirley Weber’s Assembly Bill 66, which requires law enforcement officers to wear body cameras and to notify citizens when they are being recorded. “I have about five law-enforcement agencies in my district,” Weber said, referring to the police departments of La Mesa, San Diego and Chula Vista as well as the county Sheriff’s Department and the California Highway Patrol. 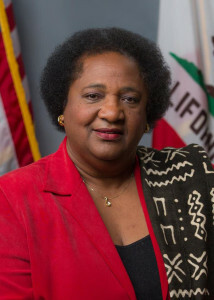 “We need to establish consistency statewide for the use of body cameras so that citizens know where they stand and so that they aren’t abused in a way that undermines their original intent — reestablishing trust between law enforcement and communities of color,” Weber said. There have been many recent high-profile incidents of police officers shooting unarmed citizens, many of whom have been minorities. The August 2014 shooting of Michael Brown in Ferguson, Missouri, sparked protests across the country. During the committee hearing, Weber referenced a more recent incident in North Charleston, South Carolina, where a bystander’s video showed a police officer shooting an unarmed Walter “Lamar” Scott in the back as he ran from the officer. Scott died moments later. To prevent events like these and potentially protect the law enforcement agencies against false claims of abuse, local governments and police departments have implemented laws or policies requiring officers to wear cameras. 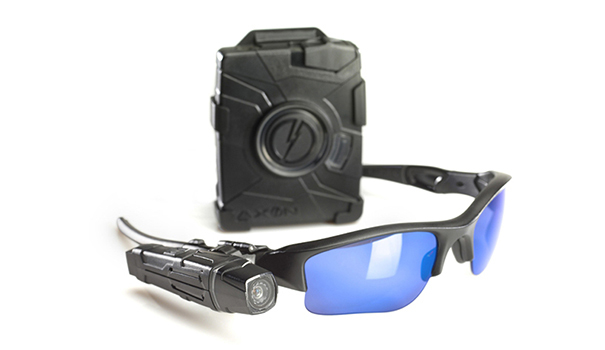 The San Diego Police Department began experimenting with body-worn cameras in January 2014. According to a recent report SDPD gave to a City Council committee, complaints are down 40.5 percent, the use of “personal body” force by officers has fallen by 46.5 percent and use of pepper spray decreased by 30.5 percent since the cameras were adopted. In use-of-force incidents that result in serious bodily injury or death, A.B. 66 would forbid officers from viewing the video until after they file an initial report. This was, by far, the most controversial element of the bill at its first committee hearing. Most people who spoke in support of or against the bill agreed that police body cameras are necessary, but many said they had reservations because of this section of the bill. SDPD is among this group. Randy Perry, who represented the Peace Officers Research Association of California, which opposes A.B. 66, said at the hearing that body cameras should be treated like every other piece of equipment that helps officers write their reports. “The issue, I thought, was transparency, and with today’s technology, we should also focus on accuracy,” Perry said. Both the NAACP and the American Civil Liberties Union have expressed support for the idea of officers depending on their memories for their initial report. Weber said this rule will prevent officers from relying too much on the video. In cases of sexual or domestic violence, the bill would allow citizens to ask officers to turn off the cameras. The bill would also allow people to request the cameras be turned off when police are in a private residence without a warrant during a non-emergency situation. Other circumstances in which the cameras may be turned off would include: when the officer enters a medical facility where patients may be in view, when the officer responds to an accident or illness where the victim isn’t involved in any criminal activity, or when the officer is dealing with confidential informants or undercover cops. A spokesperson for Weber said A.B. 66 will next be heard in the Assembly’s Privacy & Consumer Protection Committee and the Appropriations Committee before heading to an Assembly floor vote in early May. —KC Stanfield is an SDCNN editorial intern. Please direct questions or feedback about this article to the editor at jeremy@sdcnn.com.